I grew up surrounded with green. My mom had the Green Thumb, which unfortunately has not been passed on. She had a beautiful garden and although we kept switching homes, the plants were a staple. Which is why I can still cringe when I see plastic ornamentals inside a home. I just still think that nothing could pass off for the real thing. It doesn’t help that I married a walking (and talking!) plant encyclopedia. My husband can tell you the name, genus and species of every plant and tree you see and can go on for hours. Ask any friend who’s had the privilege or bad luck of getting stuck with him in a road trip for 16 hours. Now I’m stuck in a building and most people wonder how in nature’s name I could keep plants thriving inside without a balcony and the sun. But if I had my way I’d transform my home into a tropical forest. There’s something delightful about going inside a home filled with plants. The air’s a little bouncier, and you can actually breathe easy. And since you spend most of your time indoors, it helps to have a breath of fresh air especially when you live right smack in the middle of smoke city. 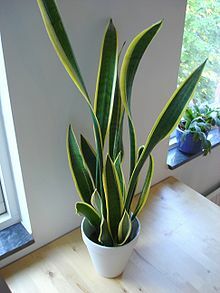 In fact, indoor plants not only produce oxygen, they also absorb benzene, formaldehyde, xylene, toluene and trichlor. Rubber Plant X A strong indoor plant that tolerates drought. The leaves look shiny and sturdy almost like plastic. Fern X I like how this plant looks but it is not as strong as the other plants. I think it’s because this plant likes humidity and you should be misting it when it gets too dry or hot. Could last a few months without a lot of sun. Rhapis (also known as Five Fingers or Lady Palm) This is the easiest to keep. You can neglect it and still it will thrive. These are those common plants you see with the long thin leaves that have a white stripe in the middle. This one is very easy to keep. I have had Rhapis stay indoors for months without much problem. They call it Rapis in the vernacular. The leaves of these look like a fan or an opened palm. I buy my plants from the Bulacan Gardens, Guiguinto, Bulacan. It’s quite easy to find. Just take the exit that says Guiguinto and you’re apt to see gardens on one side of the road. It takes me about 1 hour 1/2 (from Makati) but it’s definitely worth the time and the gas. The prices are 1/3 what you would pay for them in other markets/gardens. You can get small plants for about P50-75 a piece and tall palms at P100. The more special ones (like an enormous Peace Lily or a Bamboo Palm) could go only as high as P250-500. Go with P2000 and you’ll have enough plants to fill an apartment or small home. Note that they won’t have a clue if you just tell them names. You need to research before you go there so you know how the plants should look like. They make up names for their plants too. Another garden market is the Manila Seedling Bank but there’s not much variety for ornamental houseplants and the prices are not as low. Hi Pau 🙂 do you have a picture of the bamboo? I’ll take one. Or did you notice the bamboo palm in the shop? It’s that one. ‘super paula! Thanks for this post…i’ve been thinking of buying more plants for the house… super informative! You may plant a jade vine under your fav tree. Flowers are priceless!